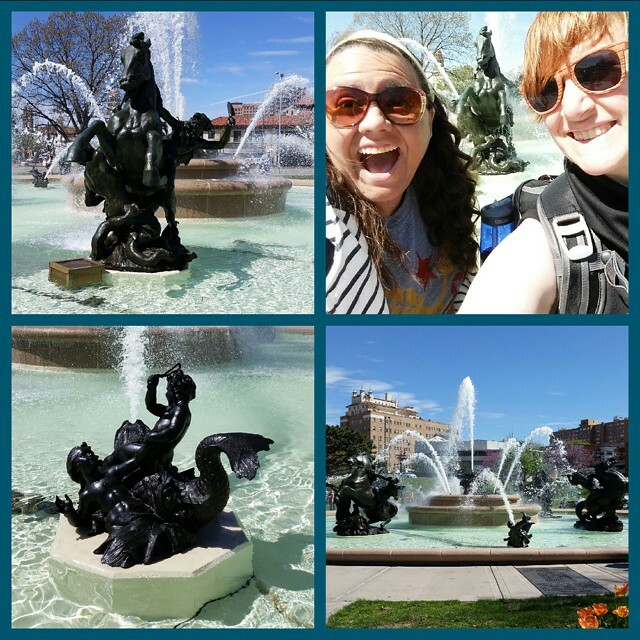 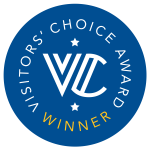 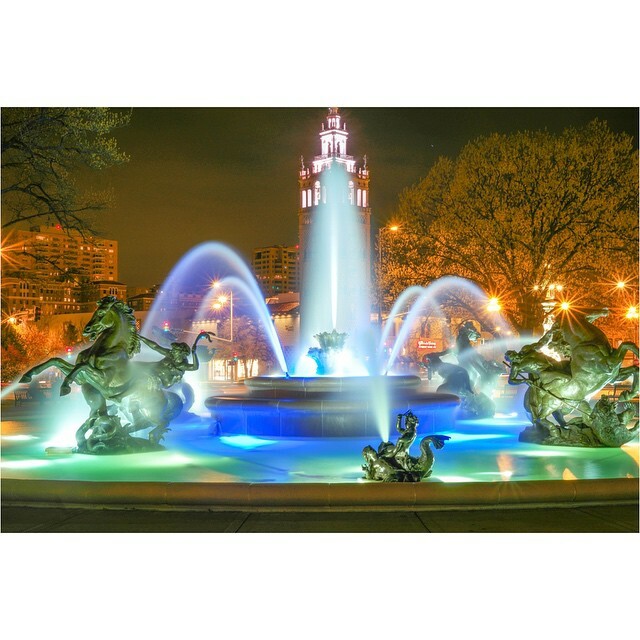 Description: This fountain is the best-known and most-photographed of all of the city’s fountains. 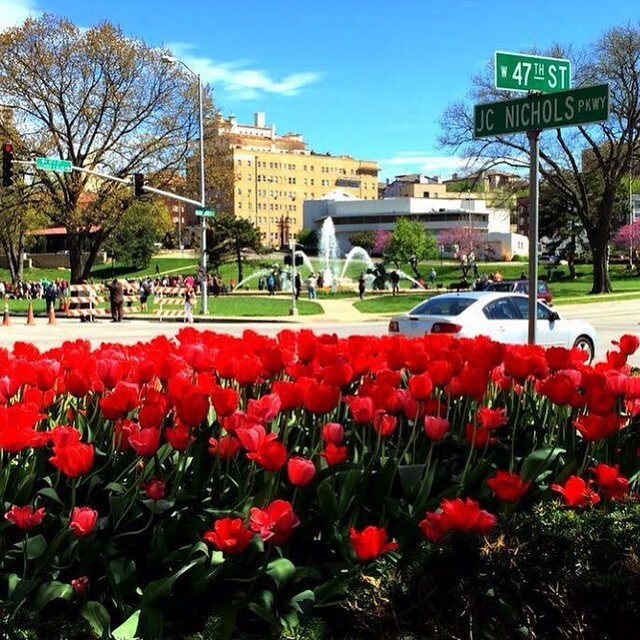 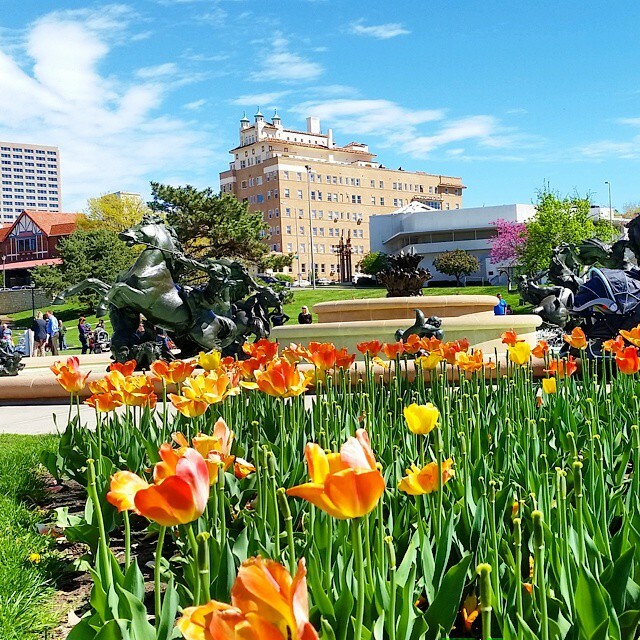 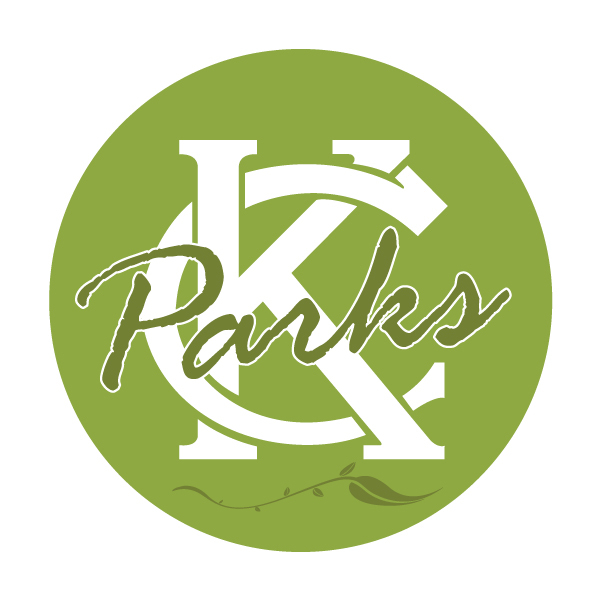 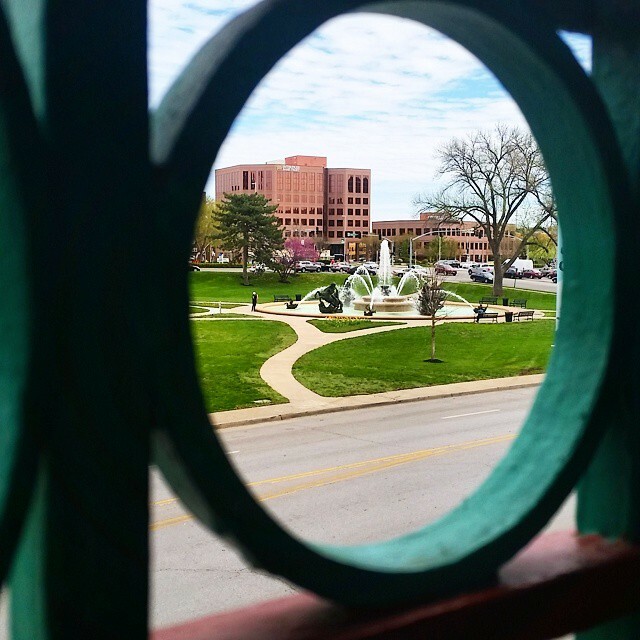 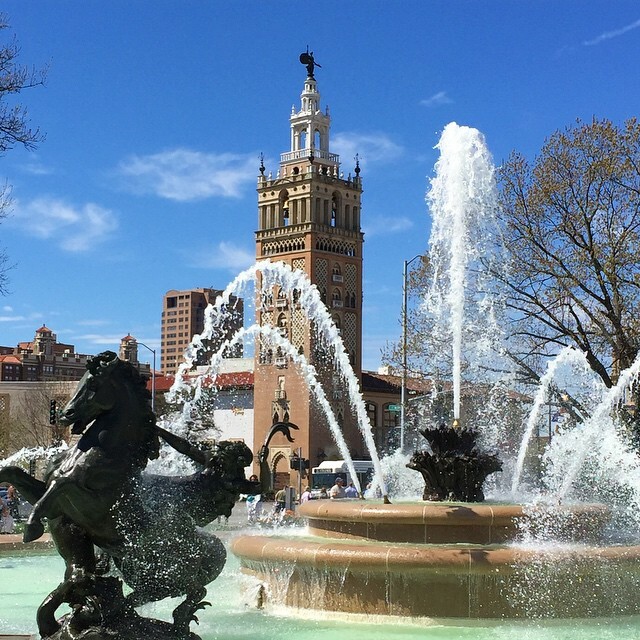 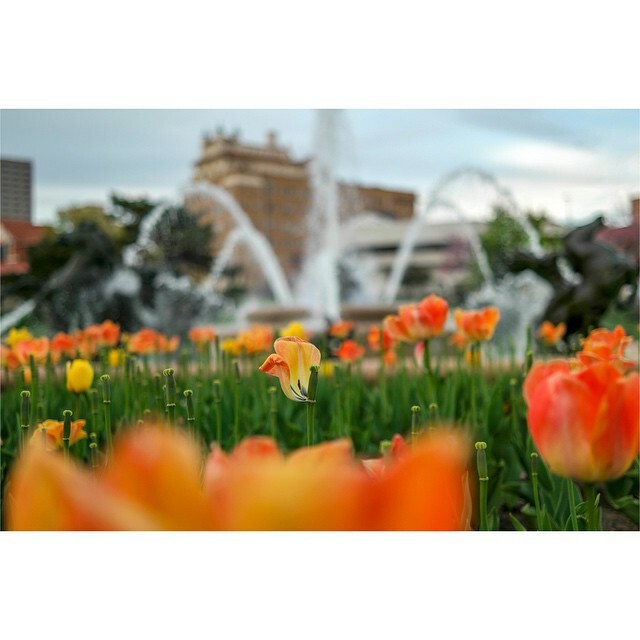 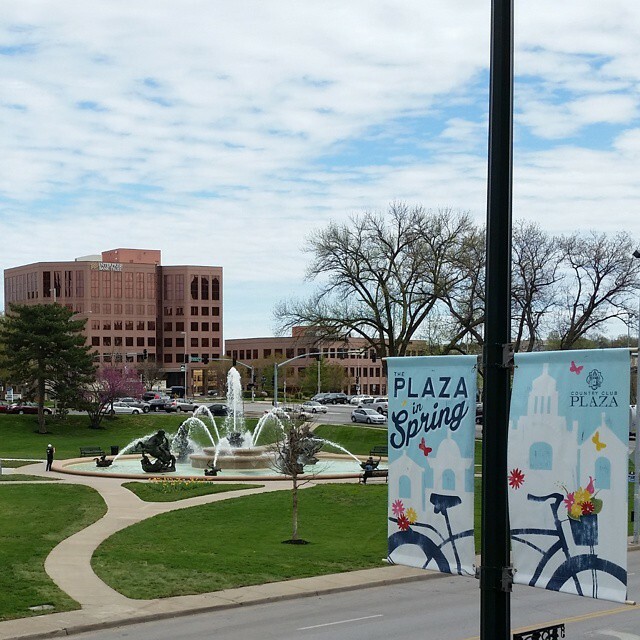 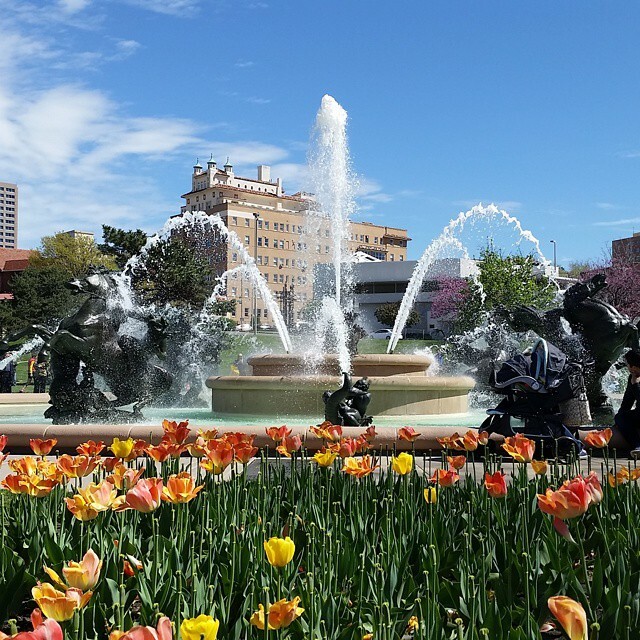 It is located at the east entrance to the popular Country Club Plaza district. 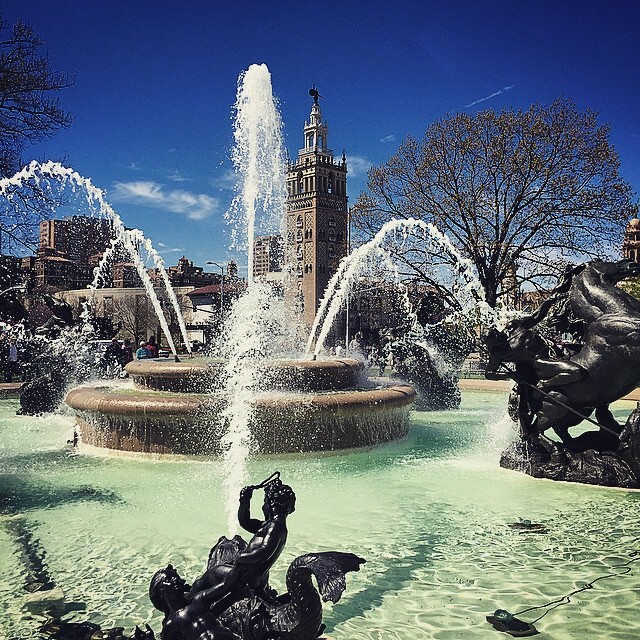 The figures were sculpted by Henri Greber in 1910 and adorned the mansion of Clarence Mackay in Long Island, NY. 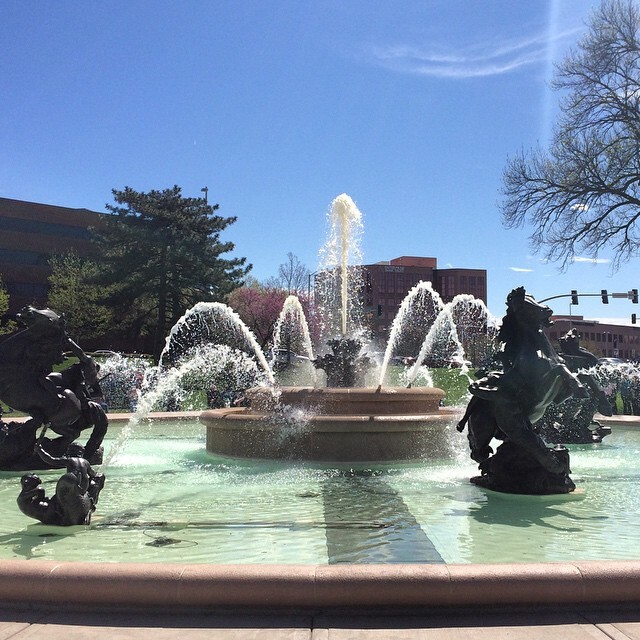 Over the years the fountain was vandalized and eleven parts were missing. 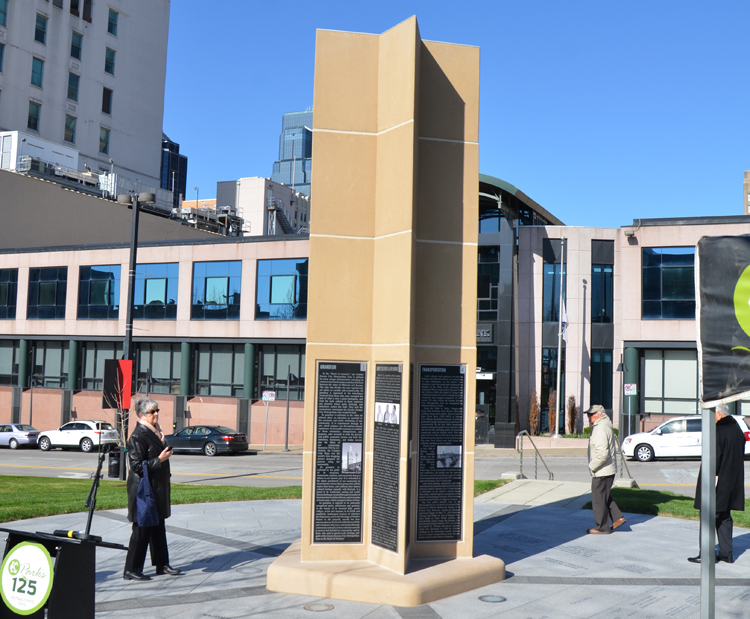 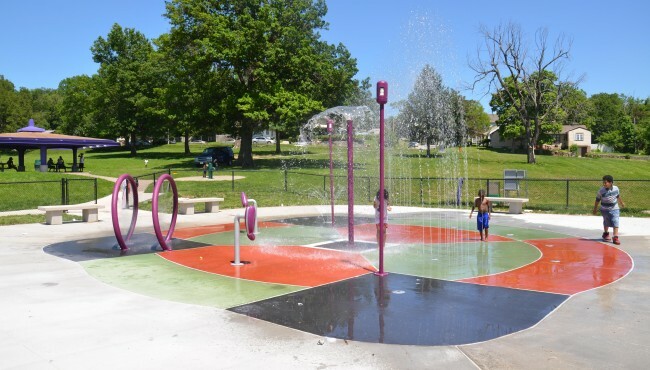 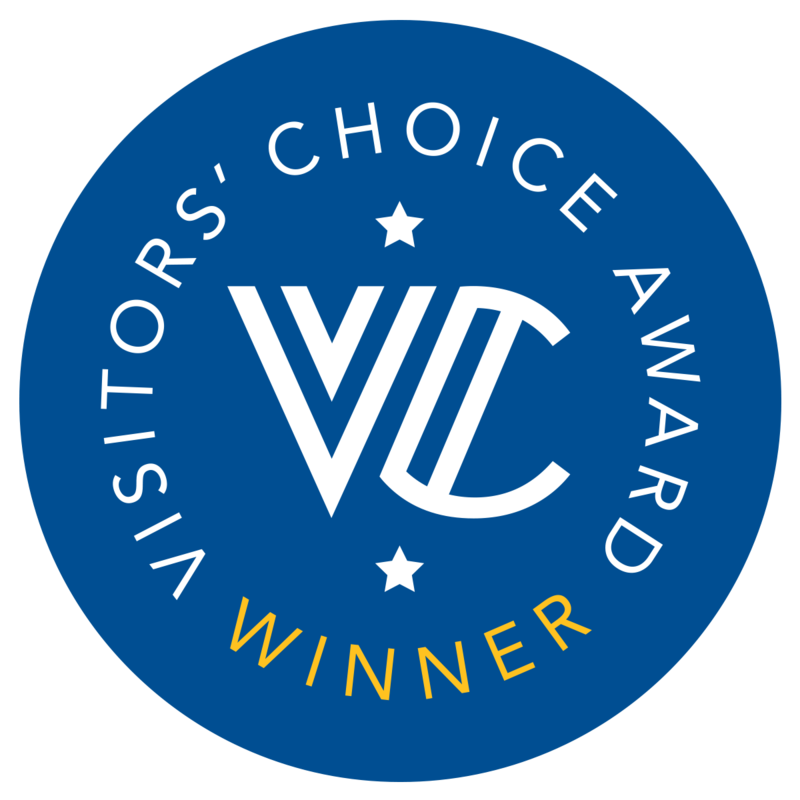 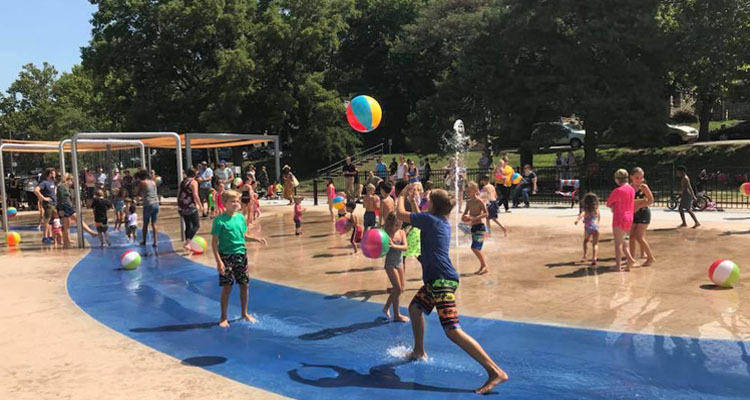 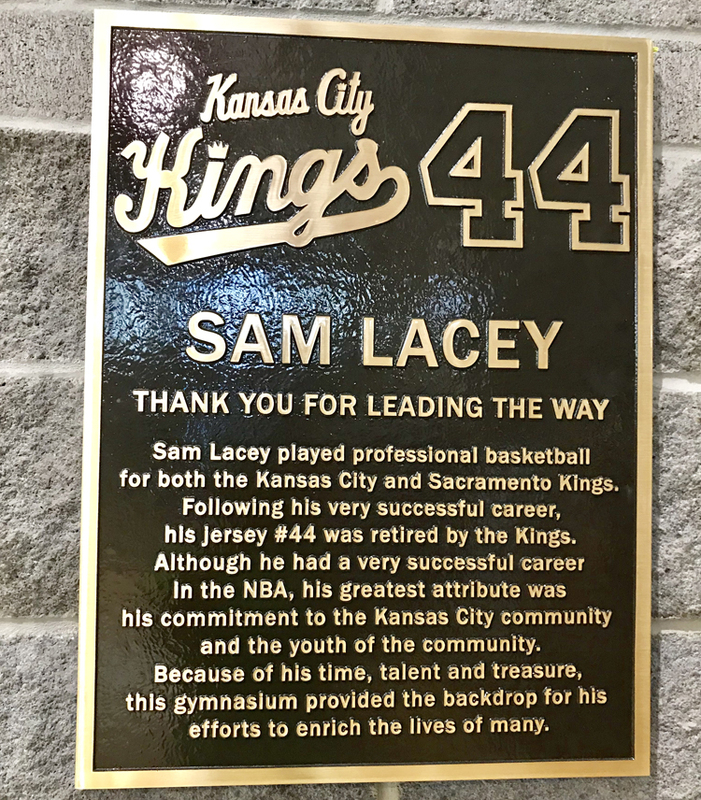 The Nichols family initiated the purchase and installation which was funded by the family, the city and private contributions including a collection by school children in the Kansas City area. 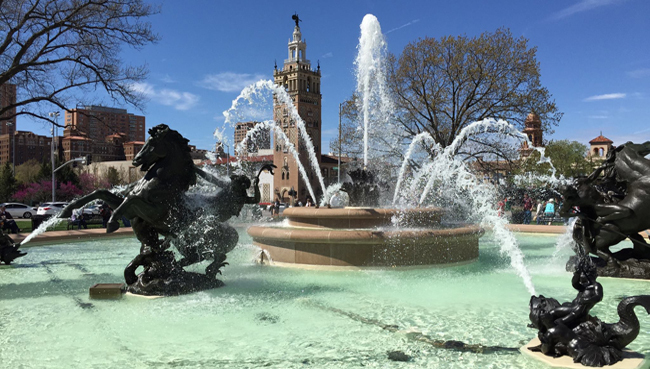 It was brought to Kansas City in 1951 and refurbished by Herman Frederick Simon and dedicated in 1960. 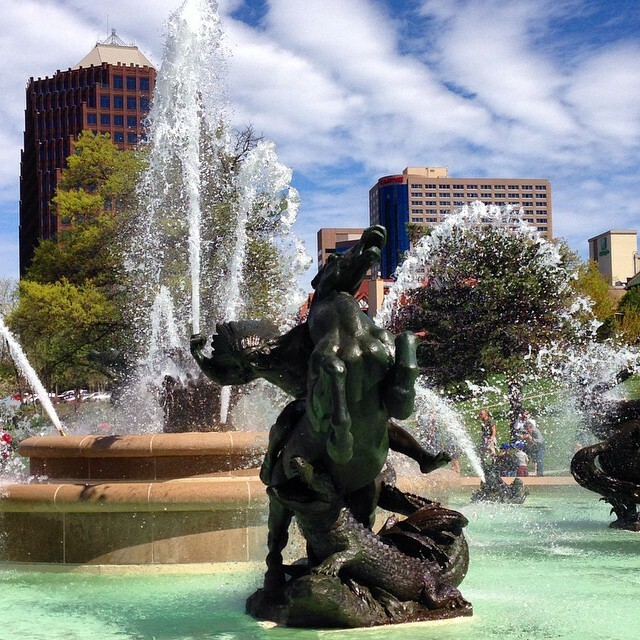 The J. C. Nichols Memorial Fountain has four heroic horsemen which are said to represent mighty four rivers of the world: the Mississippi River (fending off an alligator), the Volga River (with the bear), the Seine and the Rhine. 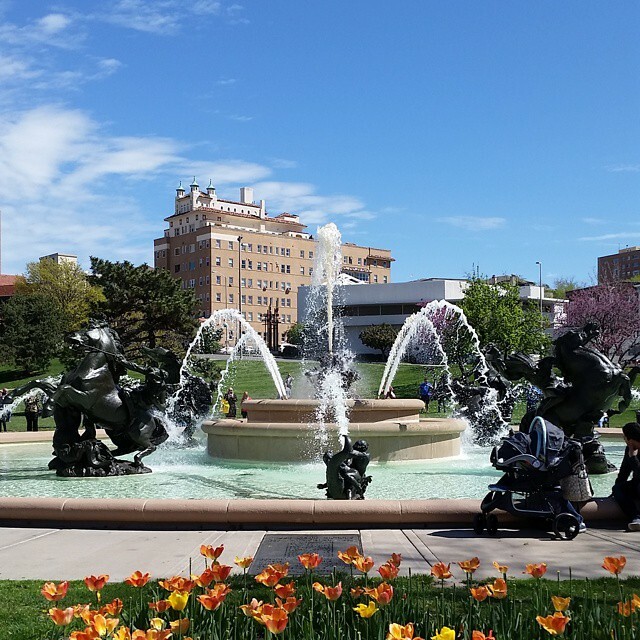 The fountain underwent an extensive renovation in 2014 funded by the Miller Nichols Charitable Foundation.